Take Jack is a nine-member collaborative ensemble of Sonoma County-based singers, composers, and musicians. 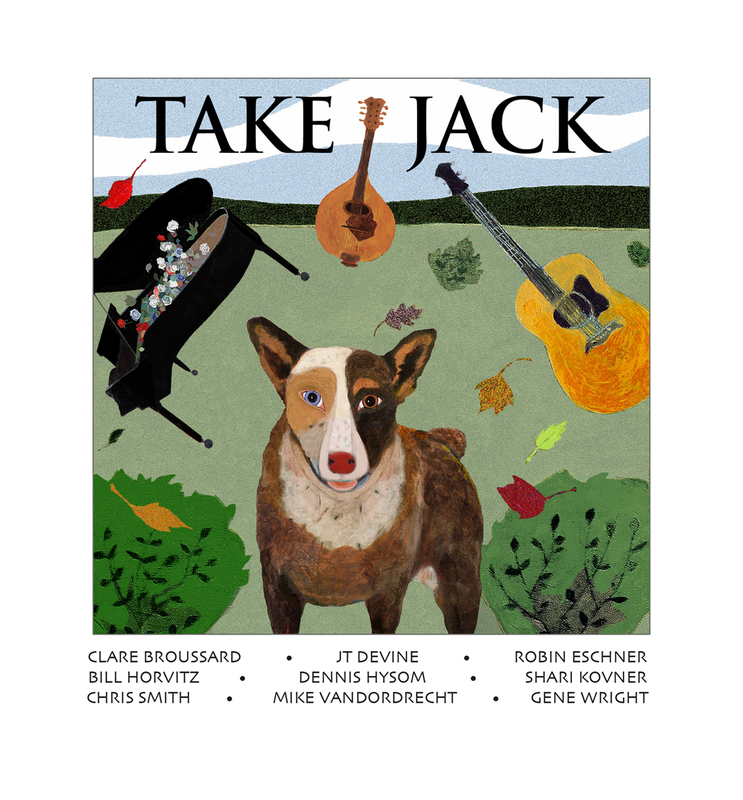 The Jacks beautifully navigate a lively and wide-ranging repertoire of original compositions and arrangements infused with stellar harmonies and informed by folk, roots, rock, choral, and jazz traditions. Their mix runs the gamut from a cappella to various additions of guitar, mandolin, keyboard, harmonica, harmonium, banjo, drums, toy piano and bass. A good amount of fun is involved. As someone, somewhere, summed it up “… sort of a handshake between Manhattan Transfer, The Band, and Crosby, Stills, Nash and Young.” Take Jack includes Clare Broussard, JT Devine, Robin Eschner, Bill Horvitz, Dennis Hysom, Shari Kovner, Chris Smith, Mike VanDordrecht and Gene Wright.